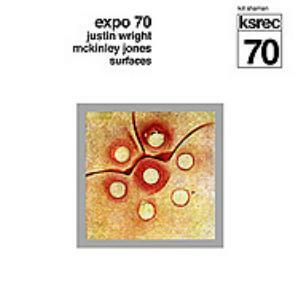 Expo 70 is an impressively transcendant rockin' electronic project formed by sound manipulator and guitarist Justin Wright. All albums provide extended minimal soundscapes dominated by slow moving fuzzed out guitars, loops and electronic treatments. The aesthetism of the band is at the cross section of Phill Niblock's deep monotonous dronescapes, kraut-rockin's austere-meditative tones (German Oak, GAM, Zweisten) and Robert Fripp / Richard Pinhas propulsive atonal guitar leads. Gorgeous tripped out stuff. Hybrid-fusional rockin experience. Sell your EXPO 70 items on eBay ! Enjoyable but not that unique! Justin Wright a.k.a. 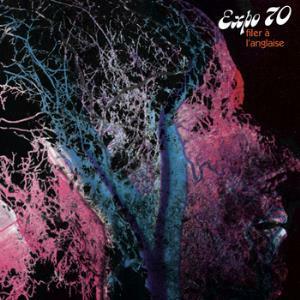 EXPO 70, accompanies himself in this "live" recording with drummer and percussionist Mike Vera and bass player also percussionist Aaron Osborne. This album as such has different releases and re-releases. 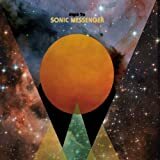 This review is according to the 2012 release published here in PA.
"Virtually From The Unknown" 2012, is rich in its rootings which go way back from Krautrock, to Hard/Metal Rock (Black Sabbath like), to Ozric Tentacles' kind of "massive twistings", to more contemporary electronic "industrial/atmospherics" (like Robert Fripp's "Frippertronics"). All enhanced of course, with Wright's electric guitar and synths. Most of this recording charms rely on how well they conjure a slowly developing and permanent hypnotic atmosphere, that certainly should have been a thrill to testify "live". But as an "outsider" after, I feel lots of "gentle reminders" of their surely admired musical influences. Krautrock's Ash Ra Tempel psychedelic-like tone will be covering most of the "deep, fuzz, blues" concert highlights. And more than once is hard to remember who you are listening to. I do not mind the " flashbacks", but as far as recommending this album, I will certainly use the underrated ***3 PA stars motto: "Good but not essential". A promising start from a "Krautrock", late bloomer. Hard to just overrate, as far as the PA ratings usually do. This 2005 album "Exquisite Lust ", can't hide its, Ash Ra Tempel, GAM, Fripp & Eno, Manuel Gottsching or Gunther Schickert's deep influence ( and of course, Steve Reich and Terry Riley, who "influenced", these musicians, the same way) . More than once, these ROOTS are this record's main drawback and more than once, I think, it was quiet unnecessary. This musician, has talent enough, and more than enough "technical advantages", in comparisson, to those "old" legends. For starters "studio time", which in those days, was a matter of economics, more than talent alone. (of course if you were non-mainstream, as Prog was in those days, glorious days). So, considering that you now can Re-record, Re-play, Edit, master and remaster, from the comfort of your toilet seat, if you wish, you should have less of a hurry and economical pressure, to compose and play. And that my friends is called "field advantage", as far as song writing and musical composition goes. NOW, talent itself, is just another realm. Exquisite Lust, is a promising 1st album. It will remind you of "old days", but also, it will offer a very pleasurable rendition to those legends. And of course it is beautifully recorded and mastered. ***3.5 "worth listening to", PA stars. How surprising and strange, it feels, to be trapped in such a nice "dilemma". 4 or 5 stars? 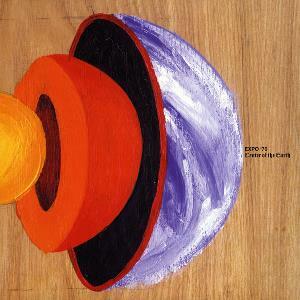 How lucky to have started my EXPO-70 audiophile experience, with this marvelous record. Luck, has to be shared. By now, I had lost "faith" that someone could produce progressive electronic music, which could stand alongside TD's or Schulze's "masterpieces", not compared to ( in my book,of course). Justin Wright a.k.a. 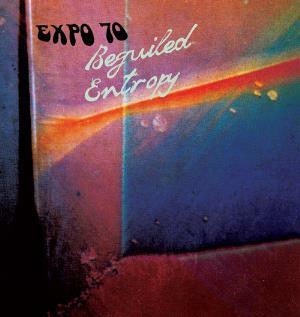 EXPO 70, does that and more, in this 2012 "Beguiled Entropy" project. A perfectly structured, OWN, progressive electronic musical language, displayed daringly, and yet witholding, as if by intention, every angle of music composition, which has not his own signature . WOW! *****5 PA stars, no less! 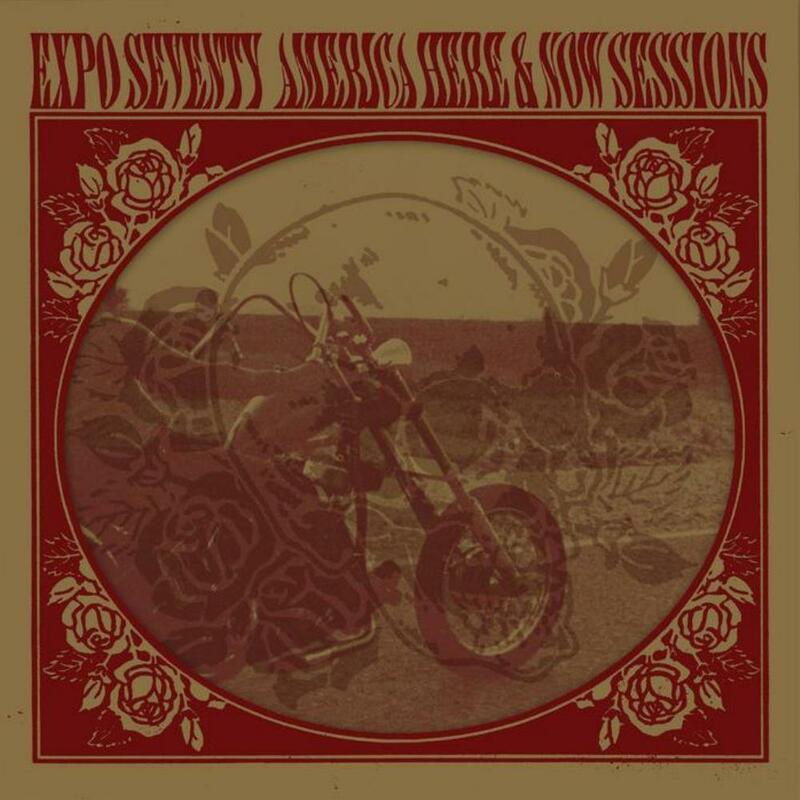 This is how krautrock should work ... EXPO '70 is the brainchild of Justin White, a project probably named after the world's fair which took place in Osaka, Japan. He's on the way for some time now (no, not since 1970, but the beginning of this century at least), just intensively experimenting with electronics and guitars. Here and there White invites some like-minded musicians in order to participate at his explorations. 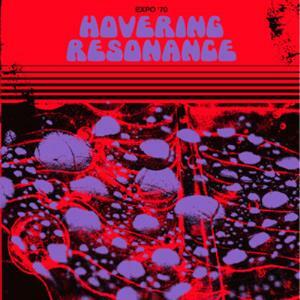 'Hovering Resonance' is his latest 12'' production consisting of two tracks, and recorded with the help of two percussionists. Backed by a simple electronic beat the title track marks a one-man show, offers minimalistic synths but multiple echoed guitars so much the more - inspired by Manuel Göttsching, I'm quite sure. Okay, this does not bring something really new to the table, but is a groundbreaking tune in any case, you bet!. Fifteen minutes which you can enjoy in a relaxed sweet-tempered mood. I like this! Second song Moon Raga is spiked with intensive percussion work then. Maybe you might imagine to dance around a (friendly) Sioux campfire when listening - only the cymbals and the synth background are able to disengage you from some kind of misguided romaticism. 'Hovering Resonance' is a short but interesting new sign of life from EXPO '70. 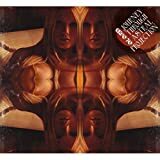 Just another contribution which proves that krautrock is still alive - 3.5 stars. 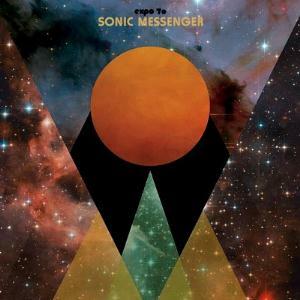 Expo 70 makes experimental progressive electronic music of the drone and ambient variety, coated in a fair amount of krautrock fuzz, and Sonic Messenger stays true to that schema. This albums is very, very slow, moving at nearly glacial speeds. 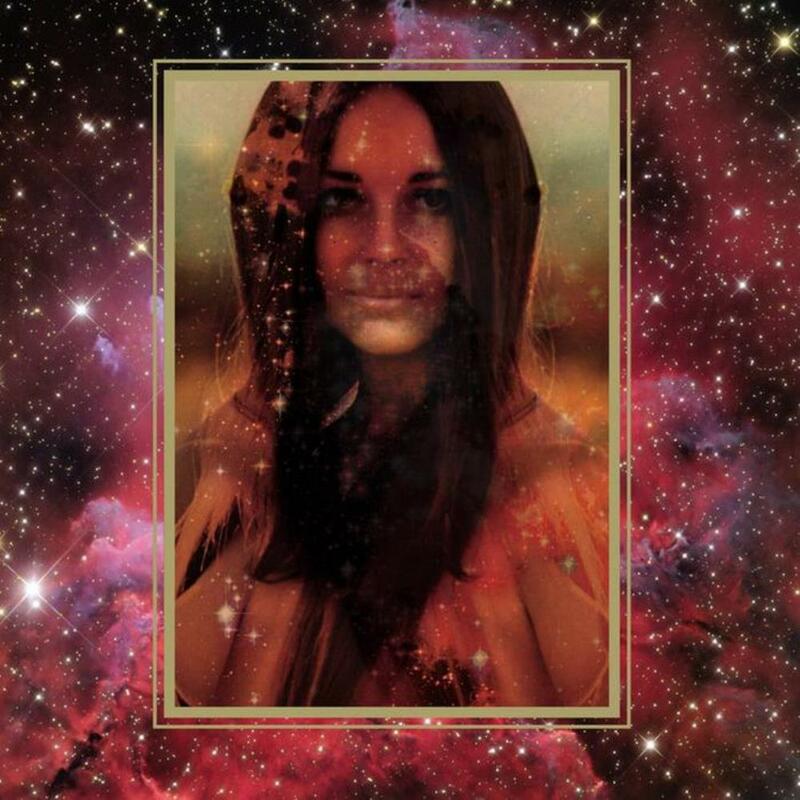 From the album cover, you'd probably expect this album to be very spacey, but it actually isn't so much. It's more organic and psychedelic than experimental and spacey, and actually gets pretty boring. Whenever I listen to this album, I get a big stoner rock vibe (it gets fairly sludgy and heavy). 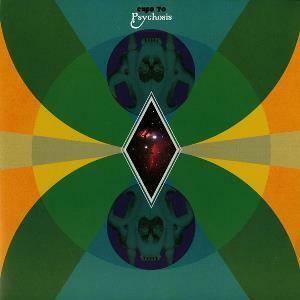 I'm not really a fan of psychedelic stoner rock, and I especially don't like it if it is slow and boring. 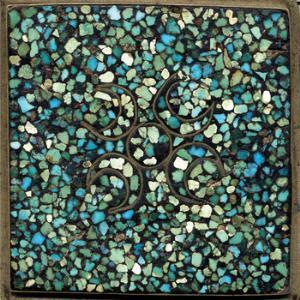 But, I can see how fans of both psychedelic stoner rock and some krautrock would find this album to be enjoyable. I want to like this album, because I like both krautrock and progressive electronic, but this album is so long and boring. I feel like I could only seriously recommend this album to krautrock fans with an extreme amount of patience. 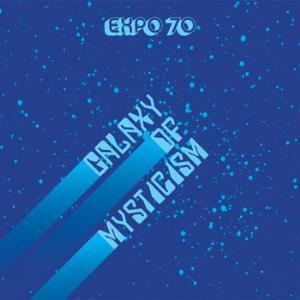 Expo 70 is a sensational minimal-neo krautrockin' project of the guitarist Justin Wright. Exquisite Lust figures among the first recordings but directly reveals Wright's unique musical signature. His sound universe is focused on dense-moving dronescapes mainly built on very low frequencies, electro-loops, guitar's echoing patterns and atonal vibes. This is really sonorous stuff with huge, massive spherical electric frequencies and deep resonances. All musical paintings are evocative and luminously cinematic. 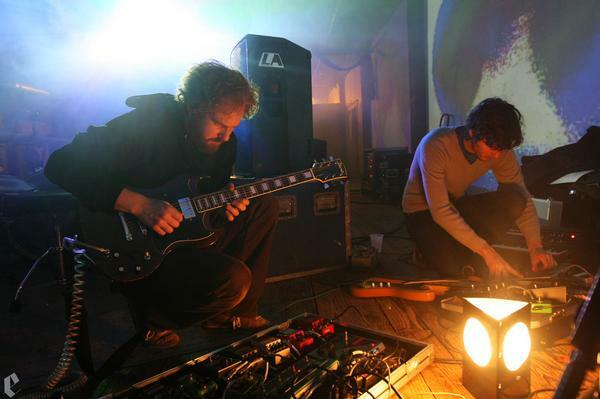 The moving drone textures play with extended, circular time and subtle micro-changes. These epic compositions are really immersive and hauntingly absorbing. Exquisite Lust is an astonishing cerebral and phenomenological trip which investigate the liminal (marginal) spaces of the sensorial / sensitive experience. it achieves a balance between lubugrious-desolate moods and eternal dreaminess (obtained by dynamic and buzzing guitar leads). The instrumentation expressively capture the essence of mystical-trance (like) communication. 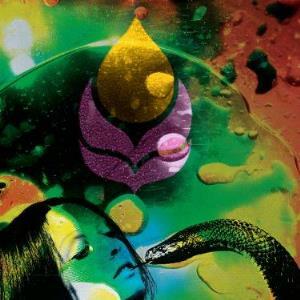 Exquisite Lust is an essential and playful adventurous drone rockin album. With albums as Mystical amplification or Animism, Justin Wright will carry on the exploration of singular micro-tonal genealogies. Highly recommended for fans of krautrock nihilism, early US minimalism and dark (industrial) ambient.